Looking over what I remember I bought in new music this year, the following are some of my favorite finds. As usual this doesn't imply year 2013 releases, simply that I crossed paths with these just now. And as usual my picks focus on the type of crossover and 'world' music which gets less coverage elsewhere. 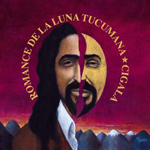 On Romance de la luna tucumana, the Gipsy dandy with the big voice and long hair revisits his much admired talent for giving Latin boleros and Argentine tangos and milongas the fiery Flamenco-styled makeover. The novelty here is the addition of Diego 'Twanguero' Garcia's Gibson 295 electric guitar and repertoire from Atahualpa Yupanqui and Mercedes Sosa. It's the next chapter in Diego El Cigala's Tango saga replete with a Mariachi trumpet on "Canción de las simples cosas" and Mercedes Sosa's imported voice on the closing "Canción para un niño en la calle". Those who were used to Diego's purely acoustic exploits might need repeat listen to settle down fine with the electrified aspects of Romance but should then agree that it's another perfect little prawn dish. The Tanini Trio are Tahir Aydoğdu on kanun, Bilgin Canaz on ney and Hakan Toker on piano and accordion. Their first album was Dokunuşlar later followed by Dokunuşlar 2. Their unusual combination of instrumental timbres is exceptionally happy. The repertoire covers classics from Bach/Gounod's "Ave Maria" to Satie's "Gymnopedie N°.1" to a positively spine-tingling read of Astor Piazzolla's "Oblivion" and many Turkish compositions including three by our kanun virtuoso. The chamber-music classicist rather than ethnic folk treatment of this material merely adds to its jewel-like allure with its surprising embellishments from the two folk instruments which are alien to the well-tempered piano. This is unapologetically beautiful music. Tanja Tzarovska is a Macedonian transplant to the UK whose coquettish voice with faint echoes of Kate Bush has appeared on soundtracks from Avatar and Titanic to Troy, The English Patient and The Passion of Christ. No Record Of Wrong is her first album of originals and covers. It shows her keen songwriting skills and Balkan slash Byzantine harmonic styling to gorgeous effect and takes us into a musical world dominated by her wispy angelic voice routinely overdubbed for flawless harmonizing. There are no filler tracks. Production values approach audiophile demo material. Musical depth rather exceeds it however. The focus is on down-tempo moody numbers which often start out sparse before they crest into surprisingly layered richly nuanced finales. 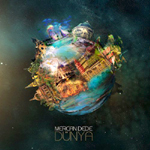 Mercan Dede's latest Dünya twofer is a mixed bill. Unless you suffer from club fever rash, forget all about the second disc 'Sunset'. 'Sunrise' however fits right into the Nefes, Su and 800 canon which established our DJ composer/performer as one of the biggest names in a genre also served by Cheb i Sabbah. Dede's milieu sets traditional Turkish folk instruments like baglama, kanun, ney and modern ones like clarinet and trombone into tasteful electronic ambiance like Hector Zazou did for Sevara Nazarkhan, then floats his multi-layered constructs on pulsating grooves with infrasonic beats. High production values and a real flair for augmenting Sufi-flavored inner-space music with respectful modern touches makes this high-caliber organic ambient fare with audiophile sonics. Yıldıran Güz's Med Cezir is bylined as traditional Turkish music but like Omar Bashir did with Crazy Oud, it also explores the occasional striking of that purist 'traditional' qualifier as does the companion Renkler Ve Sesler album which depicts the solo oudist on guitar. There are thus Flamenco-flavored rumbas and slinky Latin Jazz numbers against light piano or funky bass accompaniment besides the expected melancholy Moorish meditations. The hot mastering can approach clipping but the music is great. Kebelek/Butterfly used to be hard to find. I had to get my copy in the shopping district around Istanbul's Taksim Square. Now Qobuz has it. This super evocative desert-feel soundtrack from the proven team of Brian Keane and Turkish multi-instrumentalist Omar Faruk Tekbilek is achingly gorgeous and with its bass ney, symphonic strings and horns quite epic in scope too. Whilst nobody I've talked to has seen the film, the music for it is a true masterpiece which conjures up its own timeless images. If you've loved prior Keane/Tekbilek collaborations—there are many good ones—this one tops them all. The Sufi-inspired cover art of a whirling dervish also is a musical undercurrent which adds that ancient mystical dimension of music as a sacred gate to elsewhere. Jan Garbarek did something similar with the Hilliard Ensemble. Popular response even revisited the at first seemingly outré concept of a freewheeling sax improvising over against sacred choral tunes with a second album. 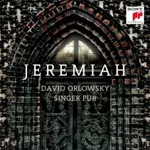 With Jeremiah now comes Klezmer/classical clarinetist David Orlowsky and the German Singer Pur ensemble of three tenors, one baritone, one bass and one soprano voice. They enjoy a very close collaborative friendship with their British Hilliard colleagues and here give us their own take on works by Palestrina and Gesualdos with accompanying and/or soloizing clarinet. It works a treat too, stylistically more seamless and organic than Garbarek's. Sony Music add high production values for a musically and sonically sterling encounter. Some of the world's best Flamenco guitarists had put out new albums this summer which thus put a lot of that fiery type music on rotation. 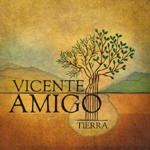 With Vicente Amigo's Tierra we encounter an artist who many considered to be Paco de Lucia's unofficial successor in a novel setting somewhere deep in the heart of Gaul. Here one strain of musical roots trace their way up the Druidic ley lines to the green shores of Ireland and Scotland. It's this very earthy connection with its memories of gigs, reels and the timbres of flutes, fiddlers and bagpipes which Tierra mines in a fabulous crossover effort that dances on the edge of Flamenco rhythms, Flamenco phrasings and indefinable yet very tangible Galway-meets-Granada elements. Brilliantly inventive, top-drawer musicianship! 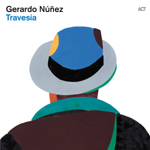 Gerardo Núñez's Travesía reminds us both of this guitarist's monstrous technique and his uncanny knack for fluidly crossing from Flamenco into Jazz, Salsa and back without losing a beat. This isn't from your father's Sabicas or Manitas de Plata collection. This is cutting-edge 21st century Flamenco that'll have you at similar hallo to watching the Olympic Games and marveling over athletes continuing to set new records with the same old human bodies. Here the shocker aren't merely the raw finger chops of the quicksilvery maestro. The true shocker is the compositional brilliance which culminates in the lengthy final track that goes stylistic places the beginning couldn't possibly prepare you for. Way trippy in a very sober non-Hippy way! 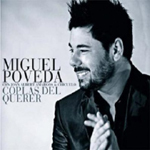 On Coplas del Querer, the ever adventurous Miguel Poveda who'd previously surprised the purists by collaborating with the astonishing qawwali singer Faiz Ali Faiz follows the super-popular precedent of long-haired gitano singer El Cigala and his Lagrimas Negras crossover efforts with octogenarian Cuban pianist Bebo Valdez. 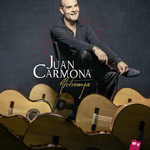 Love Letters is related to Flamenco primarily by the singer's inflections and stylings but otherwise moves us into a milieu dominated by violin, muted trumpet, piano and massive string orchestra. For another pointer, the female counterpoint to El Cigala and Miguel Poveda would be Concha Buika. If you love the tattooed diva or the elegant crayfish but didn't know Miguel... you're missing out. Then Coplas is the best place to make his acquaintance. 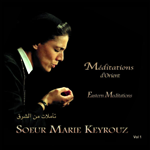 Sœur Marie Keyrouz is a Lebanese-born singer and Greek Catholic sister of the Basiennes Chouerites order. She holds a joint PhD in musical sciences and religious anthropology from the Sorbonne and founded the L'Instituit International de Chant Sacré in Paris. Collecting Aramaic, Maronite, Byzantine and Melkite chants preserved mostly in Greek, Syriac and Arabic manuscripts or passed down orally and being proficient in both classical Western and Eastern vocal techniques, she has developed a powerfully melismatic style of singing oriental liturgical songs. Méditations d'Orient presents five of them with her usual Arabian L'Ensemble de la Paix and piano. Méditations are universal prayers in song delivered by a truly haunting very pure shockingly otherworldly voice. 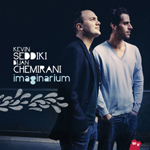 On Imaginarium guitarist Kevin Seddiki who regularly performs with Al diMeola, Dino Saluzzi, Stelios Petrakis and has cut two albums with singer Yasmine Hamdan teams up with Bijan Chemirani on the long-necked saz lute and oud. Both contribute percussion on the Persian zarb or tombak drums. Imaginarium thus is a leisurely descent into atmospheric mood music as we'd expect it from ECM. It's all about flow and gentle micro grooves, semi improvised interludes between melodic refrains, long developmental arcs and the barest minimum of effects to supplement timbres. It thus falls into my 'music for a rainy day' category as the sort of album one cues up when one desires a quasi soundtrack to accompany bad weather indoors. Perfect for December! If you know Quadro Nuevo's brilliant concertized café music and Richard Stolzman's crossover like Brazil, you'll segue fluidly into Choro e Bossa Nova. 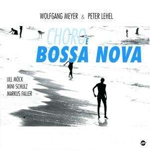 Here Sabine Meyer's less famous brother Wolfgang blows the blackwood against Peter Lehel's sax with bass, piano and percussion backup in typically Brazilian chamber music fashion. 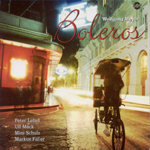 On Bolero and with the same collaborators the classical German clarinetist visits lazier just as melodious tunes for easy albeit beautiful listening at a high level. 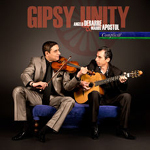 Complicité is high-octane stomping swing at the hands of both acoustic and electric Manouche guitarist Angelo Debarre and his glittering sidekick for this venture, the big-tone swaggering fiddler Marius Apostol. On the title track and "Indiscrétions" the fiery cymbalom of Kosty Lakatus makes bravura appearances to clatter across its range at breakneck speed, invoking echoes of the Carpathian Taraf de Haidouks and Count Dracul doing the footsie shuffle. The uptempo interplay is so intense as to warrant coming apart at the seams. Yet it never does. As he did for his prior Musette exploits with accordionist Ludovic Beier, Debarre has chosen his musical partner for this project well. It's the perfect mix again of sauce, spice and dreamy ballads like "Anouman". Sylvain Luc on electric guitar and another 30+ musicians light up the dense crossover panorama of Alchemya. There's African chorus singing on the far-out assemblage of the first track. There are Metheny-esque hooks on synth guitar. There are Latin Jazz numbers and echoes of George Benson. There's authentic Cante Jondo. With Alchemya JC presents his answer to the prior crossover successes of Gerardo Nuñez' Travesía, Tomatito's Soy Flamenco and Vicente Amigo's Tierra. Flamenco technique and the rhythmic complexity of Flamenco compas flood their traditional borders and bring to full fruition the fertile soils of previously unrelated musical styles. Sensationally inventive!